The largest travel planning and booking site, TripAdvisor recognised Aitken Spence Hotels as winners of its Travelers’ Choice Awards 2019. Heritance Kandalama, Heritance Ahungalla, Heritance Negombo, Heritance Tea Factory and Amethyst Resort were among the hotels that secured the accolade, granted based on consistent positive reviews collected over the past year. Heritance properties including Heritance Kandalama, Heritance Ahungalla, Heritance Tea Factory and Heritance Negombo were also merited among the highest in the ‘Top 25 Hotels – Sri Lanka’ based on their exemplary service, quality and value. The Heritance properties, a name that has over the years been synonymous with superior hospitality in Sri Lanka caters to discerning travellers who are explorers of culture and authenticity. Heritance Kandalama, the leading eco-resort is among the most awarded properties in the country with emphasis on architecture and eco-ethos. Heritance Ahungalla, the first five-star resort in the southern coastal belt is a haven of peace and solitude by the beach. A converted 19th century tea factory that today sings songs of the past through its unique design, Heritance Tea Factory has been a constant favourite among local and international travellers. As a local hospitality chain that has and continue to aspire, to take the inherent warmth of Sri Lankan hospitality to the world, Aitken Spence Hotels pay heavy emphasis on refining service efforts whilst maintaining and improving the product. As such, the award is looked at as a further endorsement to the chain’s continuous efforts to develop its core products. Held for the 17th year, the award honours hotels across categories including luxury, bargain, small, best service, B&B and inn, romance, family, and all-inclusive, as well as top hotels overall. “Travelers can consider these award winners when picking the perfect hotel for their needs – for any budget or trip type – to help inspire their travels in 2019,” says Desiree Fish, Vice President of global communications for TripAdvisor in a statement with a congratulatory message to the hotels. Aitken Spence Hotels, the premier hospitality chain owns and operates 11 hotels and resorts in Sri Lanka, in key tourist destinations and has been renowned for its unique products and impeccable service from the heart. Aitken Spence Hotels’ premier five-star property in the coastal belt, Heritance Ahungalla received the double honour of being listed as the TUI Environmental Champions of 2019 for its excellent performance in sustainable hotel management as well as a winner of the TUI Top Quality 2019. The hotel was selected among many worthy contenders from around the globe to receive the TUI Environmental Champion of 2019 award. In order to qualify for the environmental champion awards, hotels and resorts must rate more than eight out of 10 by TUI Germany guests and must hold a Global Sustainable Tourism Council recognised certificate, such as Travelife. The recognition further reiterates the hotel’s excellent performance in sustainable hotel management as evaluated by TUI guests and auditors. The hotel was also listed as a winner of the TUI Top Quality 2019 which is reserved for the very best TUI hotels – the absolute favourites as declared by their guests. With an excellence rating on the TUI guest survey exceeding 8.7 out of 10 possible points, the hotel successfully convinced guests across the board. TUI Germany is the world’s leading tourism group which covers the entire tourism value chain under one roof. Heritance Ahungalla, designed by legendary architect Geoffrey Bawa is a 152-room property located on 12 acres of beachfront in the southwest coast of Sri Lanka. With award winning chefs at the helm, the hotel is well known for its delectable cuisine available at Jute restaurant, Mustard coffee shop and upper room restaurant, whilst also offering a plethora of bespoke dining options to suit the guests’ needs. Catering to a cross section of travellers, the hotel also offers a range of facilities, from a fully equipped gymnasium, two pools – an infinity pool and residents’ pool, a library, business centre and ample sporting activities. Heritance Ahungalla also stringently follows internationally accepted practices of sustainability and is certified with ISO 14001:2004, ISO 22000:2005/HACCP and ISO 50001:2011. Sri Lanka’s leading hospitality chain, Aitken Spence Hotels was recognised at multiple award ceremonies held last week in Colombo, bringing home a total of 12 awards at the 54th Annual Report Awards 2018, National Business Excellence Awards and Sri Lanka Tourism Awards 2018. 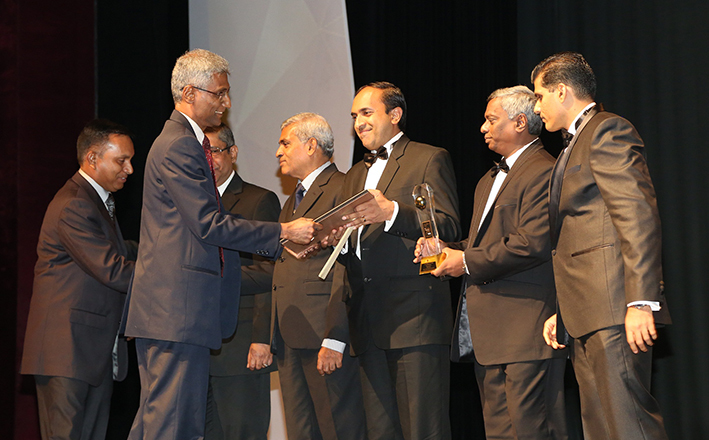 The hotel chain, part of the blue-chip conglomerate Aitken Spence PLC, started its winning streak on 4 December at the 54th Annual Report Awards 2018 organised by the Institute of Chartered Accountants Sri Lanka. The company took home the Silver for ‘Hotel Companies’ whilst Browns Beach Hotels PLC, also part of the Group’s subsidiaries was accoladed with the ‘Hotel Companies Compliance Award’. Held under the theme of ‘epitome of brilliance’ the award ceremony celebrates commitment of corporates towards best practices in annual corporate reporting through transparency, accountability and good governance. 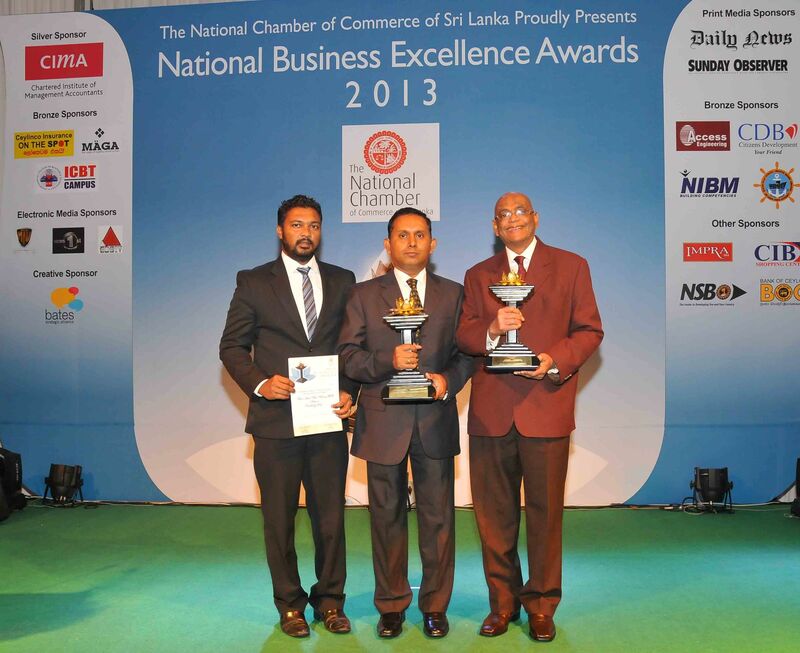 At the National Business Excellence Awards held on 5 December, organised by the National Chamber of Commerce. 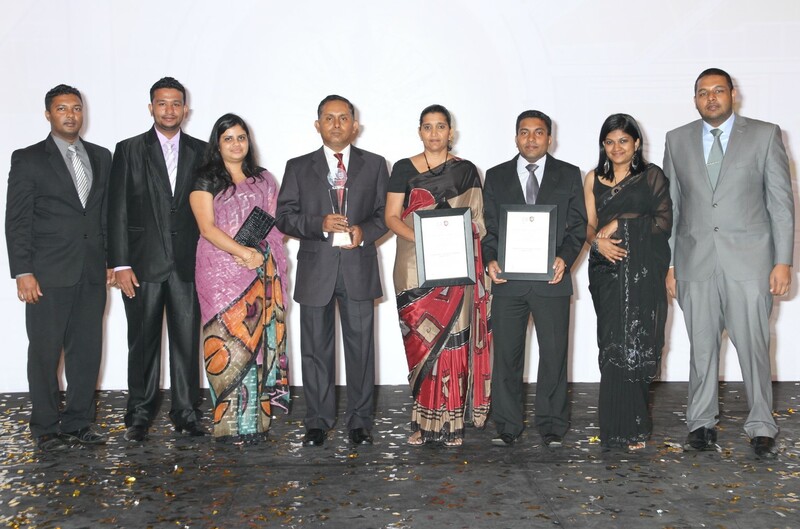 Aitken Spence Hotels received eight awards in total including the ‘Silver Award in the Overall category’ along with three golds and four silvers. From the Sector Awards, the Company was awarded with the Gold for ‘Hospitality and Tourism’ in recognition of the distinct trailblazing innovations in products and services in the industry, and the First Runners Up in the ‘Extra Large Category’ companies. Among the category wins were Golds in ‘Excellence in Environmental Sustainability’ and ‘Excellence in Corporate Social Responsibility’ and Silver in ‘Excellence in Capacity Building’, ‘Excellence in Performance Management’ and ‘Excellence in Global Market Reach’. The Excellence Awards was organised to recognise business enterprises, which have demonstrated excellence in business, whilst contributing to the economic progress of the country. The following day, on 6 December, the Company was rewarded yet again at the Sri Lanka Tourism Awards 2018 held after a lapse of six years. Heritance Kandalama, a Hall of Fame winner at the Presidential Awards (which was rebranded as Sri Lanka Tourism Awards this year) after three consecutive wins, was applauded as the Winner of the ‘Best Hotel-Sustainable and Green Practices’. Company’s most awarded individual with three Culinary Olympic wins under his belt (and the only chef in the world to have received the honour) Chef Dimuthu Kumarasinghe was recognised for ‘The Most Outstanding Culinary Contribution’. Aitken Spence PLC Director, Head of Tourism & Leisure, and Chairperson of Aitken Spence Hotels Management Stasshani Jayawardena speaking on the recent wins, stated that the manifold recognition was a testament to the superior product and service offerings of the chain. “As a hospitality chain that is constantly looking at challenging the status quo and innovating our way forward, these awards further reinforce our role as a leader in the industry. 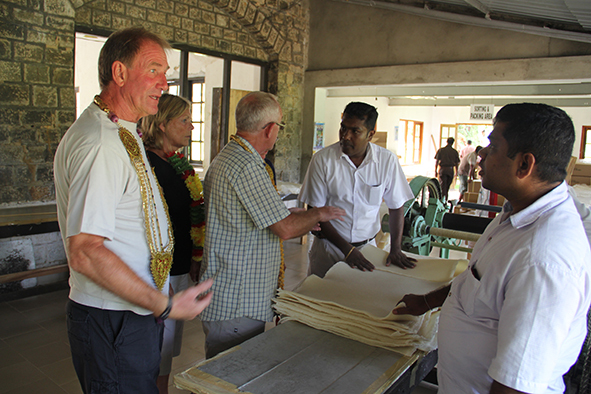 Our Sri Lankan hotels have certainly carved a name for themselves both here and abroad, and we are truly privileged to be recognised in so many fields”. “It is hard work and perseverance that has helped us succeed thus far, along with the sheer passion of the team and their dedication to serve. In working together, I believe, we will be able to add more to our successes whilst simultaneously, promoting our island home as a vibrant destination, catering to diverse needs and wants of the global traveller,” she added. Earlier this year, Aitken Spence Hotels was recognised at the South Asian Travel Awards (SATA) held in India with Sri Lankan and South Asia awards for Leading Eco Hotel/Resort; and Heritance Negombo and Heritance Ayurveda Maha Gedara securing destination-specific awards as Leading Beach Hotel/Resort and Leading Wellness and Spa Hotel/Resort respectively. Heritance Ayurveda Maha Gedara also won the Silver at the National Green Awards 2018. Aitken Spence Hotels portfolio consists of 21 star-class properties, with 11 owned and managed properties in Sri Lanka, four in Maldives, four in Oman and one in India. The hotel chain will introduce the ‘Heritance’ brand of hotels to Maldives early next year with the opening of premium all-inclusive all-villa property, Heritance Aarah. Aitken Spence Hotels secured several awards at the recently held South Asian Travel Awards (SATA) 2018 in Mumbai, India. Launched in 2016, the prestigious awards for travel and tourism stakeholders in the region has affiliations from regional associations. The awards were held for the third consecutive year recently at the iconic Taj Mahal Palace. With over 500 entries from Maldives, Sri Lanka, India, Nepal and Bhutan under 36 categories, the recognitions thus received further reiterates Aitken Spence’s lead in the region, as an innovative hospitality provider. Among the wins are three Heritance properties from Sri Lanka with Heritance Kandalama winning both Sri Lankan and South Asia awards for Leading Eco Hotel/Resort; and Heritance Negombo and Heritance Ayurveda Maha Gedara securing destination-specific awards as Leading Beach Hotel/Resort and Leading Wellness and Spa Hotel/Resort respectively. Group’s Indian property, Turyaa Chennai won Leading Design Hotel in South India. Adaaran Resorts, under which Aitken Spence currently manage properties in Maldives was accoladed as the Most Marketed Hotel Chain in South Asia. Adaaran Select Meedhupparu, won the Leading Dive Resort title for both Maldives and South Asia, while Adaaran Prestige Vadoo secured Leading All-Inclusive Resort – Maldives title. “Ever since we began our journey in the hospitality sector we have pioneered change, challenged the status quo and innovated our way forward. No matter where we are located, we have worked hard to offer our guests an experiential holiday that celebrates the locality. We are focused on where we want to be, and this has made our journey a successful one thus far; and we will strive to be better,” she said. She thanked the management teams, the hotel General Managers and the employees for their dedication which has undeniably been vital for the growth of the company. Aitken Spence Hotels portfolio consists of 21 star-classed properties, with 11 owned and managed properties in Sri Lanka, four in Maldives, four in Oman and one in India. The hotel chain will introduce the ‘Heritance’ brand of hotels to Maldives next year with the opening of premium all-inclusive all-villa property, Heritance Aarah. 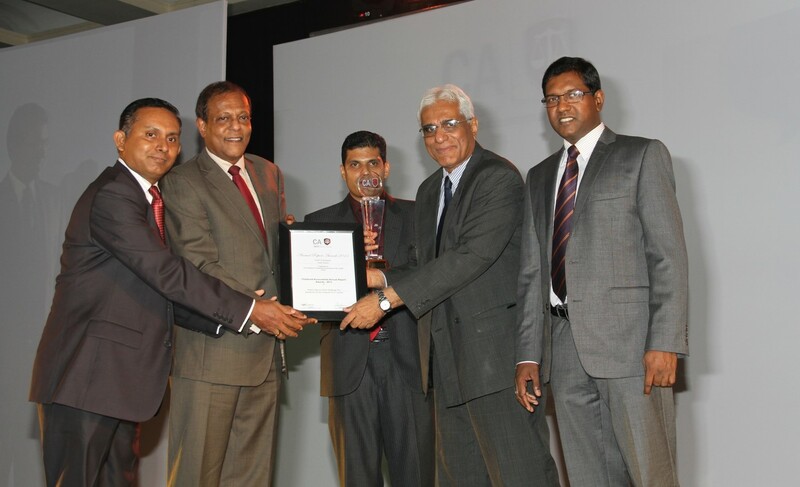 Aitken Spence Hotel Holdings PLC emerged victorious once again walking away with the Gold Award in the Hospitality Sector category at the prestigious of Chartered Accountants Annual Report Awards. 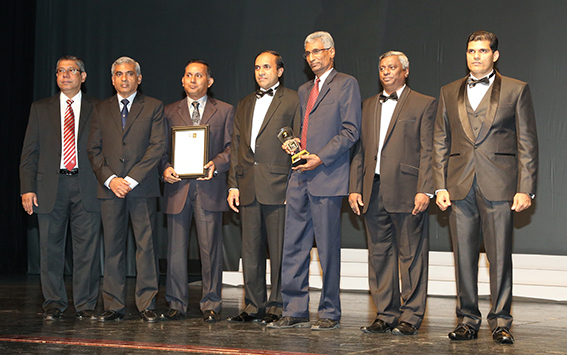 The golden jubilee of the annual report awards was held recently at the Nelum Pokuna Mahinda Rajapaksa Theatre. The competition which covers 22 sectors from small business categories such as NGOs, clubs, associations to large conglomerates had a total of 130 organisations submit their annual reports for the coveted awards this year. The annual competition formulated to encourage transparency and accountability in financial reporting in the corporate sector recognizes companies which have demonstrated excellence in transparency, accountability and good governance via their annual reports. The evaluations were conducted under a stringent three stage system where the shortlisted reports were subjected to an industry expert panel review; the reports selected for the final stage were evaluated by a final panel of judge’s chaired the Central Bank Governor. 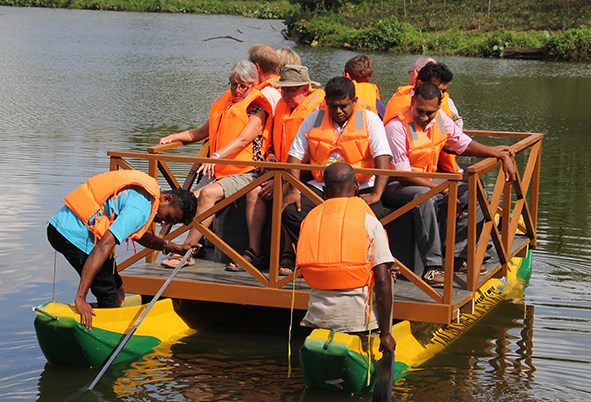 Sustainability, transparency and accountability are stringently practiced at Aitken Spence Hotels and winning this accolade provides a clear indication on its commitment to report on its economic, social and environmental impacts. “We see corporate sustainability as part of our core business strategy and ensure that our commitment is filtered down to every operation. This commendation reflects Aitken Spence Hotels’ track record of commitment to corporate accountability and championing sustainable tourism by producing industry best practices. We will continue to stay committed to delivering exceptional sustainable experiences to our guests whilst continuing to our stringent practices in corporate governance”, said Mr. Susith Jayawickrama, Managing Director, Aitken Spence Hotels.